RIO DE JANEIRO, Feb 26 2016 (IPS) - Three decades of dengue fever epidemic did not manage to awaken a sense of urgency in Brazil regarding the need for improving and expanding basic sanitation. But the recent surge in cases of microcephaly in newborns, associated with the Zika virus, apparently has. Both dengue and Zika are transmitted by the same vector, the Aedes aegypti mosquito. Back in the 1950s this kind of mosquito was supposedly eliminated in this country in a campaign against yellow fever. But it made a comeback two decades later, bringing dengue and more recently Chikungunya virus and Zika virus, also associated with Guillain-Barré syndrome, which can lead to paralysis. Brazil did not declare all-out war on the Aedes aegypti mosquito until studies showed that Zika can cause microcephaly and other neurological damage in the unborn infants of women infected with the virus in the early months of pregnancy. “There are many other diseases, such as diarrheas, hepatitis and leptospirosis, typical of developing countries and associated with the lack of sanitation, which are neglected and forgotten about, as countries merely learn to live with them without making a big fuss,” lamented Edison Carlos, executive president of the Trata Brazil Institute, created by companies interested in expanding sanitation. Brazil has suffered severe epidemics of dengue fever, with a total of 1.6 million notified cases and 863 deaths in 2015 alone. But this failed to shake the country like the microcephalic babies (with unusually small heads), which began to come to light in October 2015. Nor did decades of dengue – a much more serious disease than Zika – create widespread awareness that the root of these problems lies in inadequate sanitation and the failure to make a clean water supply universal. “Symbolically, microcephaly has a stronger effect because of the emotional impact; it has a baby’s face, while dengue is abstract, it moves people less, despite the high mortality rate,” Carlos said in an interview with IPS, explaining why this is a favourable moment to push for better sanitation in this country of 205 million people. From Oct. 22 to Feb. 23, the number of suspected cases of microcephaly and other disorders of the central nervous system rose to 4,107, according to Health Ministry statistics. Of that total, 583 have been confirmed. Of these, only 67 cases have been officially linked to Zika in clinical tests. “Most of the mothers who had babies with a firm diagnosis of microcephaly had been infected with the Zika virus,” the Health Ministry said in a statement, stressing that the number of cases associated with Zika must far outstrip the number of proven cases. When infections by the Aedes aegypti were limited to dengue fever, the belief was that only clean stagnant water served as breeding grounds for the mosquito. “Even the experts did not understand that dirty water also served that purpose,” Carlos noted. Now it is understood that the mosquito breeds in all kinds of water. This underscores the need for basic sanitation, including adequate drainage, garbage disposal, turning over all containers, no matter how small, so they can’t collect standing water, and urban storm systems and rainwater catchment basins to reduce flooding. “It’s a problem of the city, not the citizen, because there is a lack of urban infrastructure; that is the new development” that has emerged from the Zika crisis, said Carlos, an industrial chemist who specialises in strategic communication. “There is a world of problems that have built up in this area in Brazil, ranging from an insecure water supply, which generated the culture of the ‘caixa d’agua’ (household water tank to store water), which would not make sense in a city that provides piped water 24 hours a day,” he said. The severe water crisis that affected the southern state of São Paulo and other regions of Brazil last year fomented the habit of storing water in pots and pans and other open containers, which became mosquito breeding grounds. This was one of the causes of the worst dengue epidemics in São Paulo: 649,000 notified cases last year and 454 deaths. “The water crisis, plus the microcephaly and the Fraternity Campaign are a happy – and unhappy – coincidence that offers an opportunity to address the serious problems of basic sanitation,” said the president of Trata Brazil. Sanitation is the focus of the Ecumenical Fraternity Campaign that Brazil’s national bishops’ conference holds every year, and which this year brought together other Christian churches to raise awareness and generate public debate about the issue under the theme “Our common home, our responsibility”. 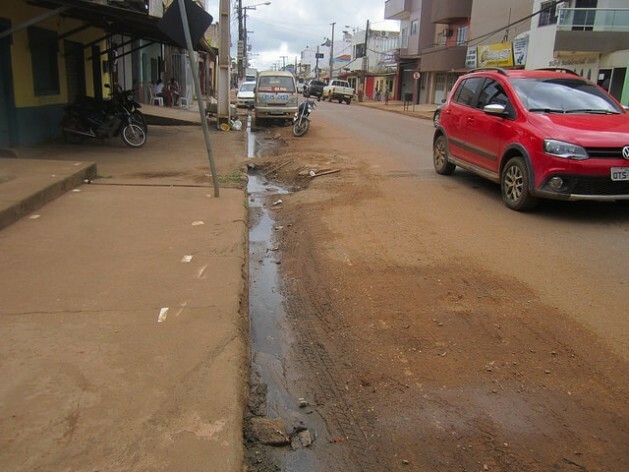 In Brazil, where nearly 85 percent of the population is urban, sanitation is expanding, but slowly, especially in terms of sewage and waste treatment systems. In 2014, 56.7 percent of the population had sewerage, just barely up from 56.3 percent the year before. At this rate, the official goal of universal sewerage will not be reached by 2033, as planned, or even by 2050, according to a study by the National Confederation of Industry. Besides too little spending on sanitation, red tape stands in the way of local initiatives by hindering the release of credit, representatives of businesses in the sector explain. The situation for waste treatment is even worse, with only 39 percent coverage. Most of it continues to be dumped untreated into urban rivers, lakes and the ocean. “It is necessary to redesign the sector, address the serious problems in a structural manner, seek political accords, and mobilise society to demand that a priority be put on sanitation,” said Dante Ragazzi Pauli, president of the Brazilian Association of Sanitary and Environmental Engineering (ABES). “The experts are inefficient in terms of communicating with the population, which remains poorly informed about the importance of a sewage system,” he commented to IPS, stressing that water and sanitation must be kept high up on the agenda permanently, and not just at times of water shortages or epidemics. ABES is working towards that end, organising meetings and campaigns, such as the current one, “More sanitation, less Zika”, which will include a special Mar. 3 workshop in São Paulo. It is also necessary to take into account “the chaotic situation” of state and municipal sanitation companies, the incapacity of city governments to carry out projects, and the current economic crisis, “an additional challenge,” he said. Otherwise, he argued, the government will continue to set “impossible targets” such as eradicating all open-air dumps by 2014, a goal set by a 2010 law. 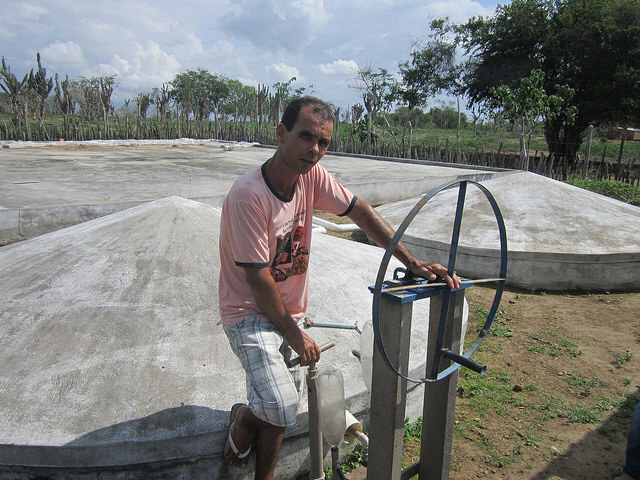 An initiative that has improved the outlook, at least in the rural areas of Northeast Brazil, the poorest part of the country, is the One Million Water Tanks Programme (P1MC) implemented by the Articulação no Semi-Árido Brasileiro (ASA), a network of over 3,000 social organisations focused on Brazil’s semiarid region. Because the tanks, which hold up to 16,000 litres of rainwater for drinking and cooking, are closed, they do not provide breeding grounds for mosquitoes. The Northeast is the region hit hardest by the Zika virus and the spike in the number of cases of microcephaly in newborns. Against this backdrop, ASA has stepped up the training courses it has given so far to nearly 580,000 families, to improve water management and prevent the spread of the Aedes aegypti mosquito. Because the rainfall returned after four years of drought in the semiarid Northeast, the number of mosquitoes and the incidence of dengue fever increased, “especially in the most populated areas,” said Rafael Neves, the head of the P1MC. But previous data is not available, and studies on rural health are needed to compare and assess the efficacy of the water tanks in the prevention of the Aedes aegypti mosquito and the diseases it transmits, Neves told IPS.